Clare's mother moves them to a new house set back by the woods. All of Clare's friends are out on the coast and are puzzled by why her mother chose to be inland. On the property is a glass house that immediately fascinates Clare. When she knocks on the glass somethings, or someone, knocks back. The knock comes from a ghost of a boy that Clare can't see but can hear. She tries to find out more about the boy, but people seem to be unwilling to discuss him. She prefers his company though to that of her friends. They seem ready to grow up, and Clare wants to hold on to be young. So this seemed like a middle grade book in theory, but in practice it leaned more towards YA. I feel like this novel balances the line between the two age groups. On one hand the story seems to be closer to Middle Grade, but the voice is not that of a young girl, she sounds much older. I did enjoy this book though. There was some ghost story with a hint of mystery and a sprinkle of romance. I didn't care for Clare's friend Bridget, she seemed mostly unpleasant. I doubt Clare would have chosen her as a friend if they weren't thrust together by their family's migration patterns. I wish the other characters were better developed I feel like we were meeting them all through a shroud of fog. The house sounds very magnificent and I wish I could just roam around staying in various lovely places all the time. Although, I wouldn't want to have a dead husband be my catalyst. This was a nice read. Nothing too exciting, but a nice read. 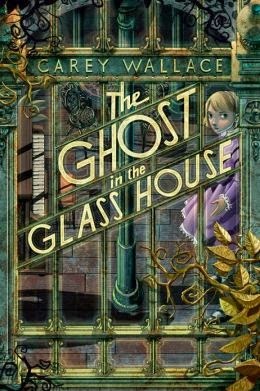 Very appropriate for younger readers who want a little bit of a ghosty mystery and maybe a coming-of-age tale feel to their story. "Clare Fitzgerald had seen so much in the twelve short years of her life that she could almost always guess what was going to happen next." "She ran the rest of the way, up toward the garden and sky reflected in the kitchen glass, which changed all the familiar shapes and made them shine so bright that they seemed like windows into another world." Wick is a pretty brilliant hacker. She learned from her dad, who is wanted by the police and has already escaped them once. She now lives with her sister in their new foster home. Wick does some hacking on the side to earn money for her and her sister. She doesn't believe that they will have a forever home with her foster parents and wants to be prepared. Then she gets an odd package on her doorstep. Tessa Waye's diary. The same Tessa Waye who just killed herself. Inside there's a note that says "Find Me". Wick doesn't want to work this case, because she has no idea what she's supposed to be finding...but then she finds out. Tessa was being abused by someone, someone she doesn't name even in her diary and Wick's sister is his next target. What a fast-paced read. I had to force myself to pause my reading so that I could go to bed. I didn't want to stop. Every few pages you learn just a little bit more that grabs you and pulls you in. Romily Bernard creates a thrilling tale here with Wick. I didn't love the relationship between Wick and Griff. It seemed a bit extraneous. I did like Griff though and thought that as the series progresses I wouldn't mind him weaving in with Wick's story more. It just felt rushed especially with how prickly Wick is to everyone. I liked how we slowly got to find out more and more about Wick's life as we are faced with her trying to unravel Tessa's. Wick's life is not an easy one and I can see why she is suspicious of everyone. It's hard to trust anyone when the people you are supposed to be able to trust are monsters. I would definitely recommend checking this one out. Yes it is the first in the series, but it stands by itself perfectly well. 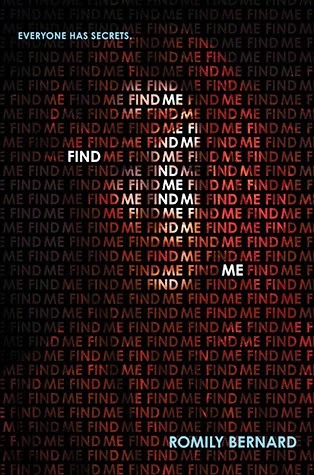 It leaves you craving more story, but wraps up it's mystery nicely. "I'm halfway through the remote computer's firewall then Detective Carson parks on the other side of our street." Ivy discovers something very strange in the basements of the Pharmacy across the street from where she lives. She isn't sure what to do with the information and it unsettles her. 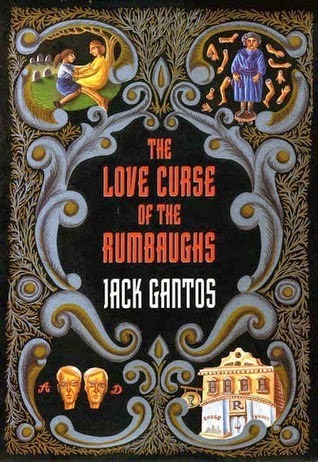 Her mother tells her it has to do with the Rumbaugh's love curse and Ivy might have the curse too. This was a very peculiar book and I'm not entirely sure if there are an young adults that I could recommend this too. There's love curses, taxidermy and plenty of other weird stuff packed in to this book. I feel like I missed the point of what Jack Gantos was trying to convey with this story besides the fact that people are strange. This book was certainly fascinating. I read through it and was kept interested, but thoroughly perplexed. I really feel as though I missed something with this book. If you're looking for a very, very strange read, maybe check this one out. It won't take you very long, and then maybe we can discuss it (although discussing it with my co-worker didn't seem to help). "I expect you might think the story I am about to tell you is untrue or perversely gothic in some unhealthy way." "It was crumpled up a bit from dryness, and if I had known it was their mother I would have screamed."